Quick Comment: Reputable British company but in our opinion it is a compromise. 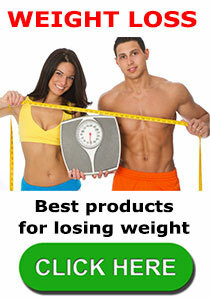 Thermogenic fat burners have established themselves as virtually the default fat burning supplement. 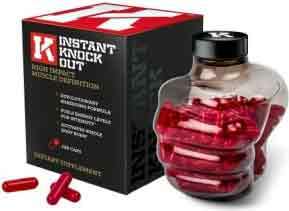 If you are in anyway sporty or a bodybuilder them we suggest you take a look at Instant Knockout. If you disregard all the hype it’s just a few common or garden claims that supplement manufacturers throw out all the time, but NRGFuel appears to a reputable company so it would be unfair to dismiss their product too easily. The company also has close associations with a number of minor celebrities and sports professionals who appear to be confident enough about the products to endorse the entire range. Some of the names on the list of NRGFuel ambassadors include David Jackson (Rugby), George Pinner (hockey), and Abbi Lou (fitness model and reality TV star). If the capsules work in the promised manner ThermoFuel’s most important function is as a thermogenic fat burner. Thermogenic fat burners produce a slight rise in the body’s core temperature. This then speeds up the metabolism and creates a bodily environment that is more conducive to efficient fat burning. As the fat cells are broken down and burned the calories stored within them are released and can then be utilized as an energy provider. Garcinia Cambogia (250mg): A fruit-based ingredient that can assist the weight loss process by providing appetite suppression. Perhaps more importantly, garcinia cambogia also has the ability to prevent excess carbohydrates from being converted into body fat. It’s a good ingredient, but 250mg may prove to be insufficient to provide satisfactory results. Caffeine (100mg): A powerful stimulant that should provide an instant energy boost and improved levels of concentration. Guarana Extract (550mg): Guarana provides a regulated release of caffeine that can help ensure longer lasting stimulation. Citrus Aurantium (300mg): A stimulant with thermogenic fat burning abilities. Several tests show that it works, but citrus aurantium has been linked to dangerous side effects, including heart attacks and seizures, so the negative aspects may far outweigh the good. L-Tyrosine (300mg): An amino acid believed to work as a mood enhancer. L-Carnitite L-Tartrate (100mg): A form of carnitine that may assist the energy production process, but the human body is very efficient when it comes to carnitine manufacture, so supplementation is rarely necessary. Ginger Root (100mg): Ginger is known to aid the digestive process, but it is not a stimulant, an appetite suppressant, or a fat burner. Chromium Picolinate (100mcg): Chromium is believed to encourage fat burning, but recent studies do not support such claims. Piperine (5mg): An alkaloid extracted from black pepper. It’s a proven fat burner, but 5mg may prove to be too little of a good thing. Cayenne Extract (60mcg): Studies show cayenne possesses powerful thermogenic fat burning abilities, but a higher dose would be required to obtain maximum benefits. Green Tea (100mg): A renowned weight loss provider, green tea couples thermogenic fat burning abilities with health-enhancing antioxidants. Vitamin B1 (2.8mg), Vitamin B5 (30mg), Vitamin B12 (1000mcg): B vitamins are known to support the metabolism and also provide numerous other health benefits. Biotin (90mcg): Also called vitamin B7, biotin can assist weight loss by ensuring the efficient metabolism of fats and amino acids. Two capsules should be taken 30 minutes prior to eating breakfast. Two more capsules should be taken 30 minutes before dinner. A further two capsules may be taken prior to exercise, but this should never be within four hours of going to bed. NRGFuel suggest new users commence with half the normal dose, to assess for tolerance issues. If no problems arise the full dose can be taken from day six onwards. Best results will be obtained if capsule usage is combined with healthy eating and regular exercise, and NRGFuel recommend 8 to 10 glasses of water be consumed each day. ThermoFuel contains several caffeine providers, so headaches, restlessness, nausea and other caffeine-related side effects may be experienced by some users. ThermoFuel capsules can only be purchased from the NRGFuel website. Each bottle contains 180 Capsule and generally costs between £25 and £40 (depending on whether a promotion is available. Postage is free, but NRGFuel do not ship to addresses outside the UK. As hinted on we recommend Instant Knockout in this category – it is suitable for both men and women and particularly effective if you are a bodybuilder or sportsman or sportswoman. Instant Knockout is arguably the best best thermogenic fat burner in circulation. This entry was posted in Fat Burners and tagged ThermoFuel Canada, ThermoFuel Price, ThermoFuel Side Effects by admin. Bookmark the permalink.